Moores Roofing Supplies Limited is a local well established business based in the heart of the West Midlands. Providing excellent service to Local and National Companies with roofing materials. Established in 1989, we have steadily grown our business over the last decade and are now one of the largest independent roofing distributors in the West Midlands. Our principle business is in the distribution of bituminous roofing membranes, asphalt, insulation, slates and tiles and all of the ancillary items relating to roofing both flat and pitched. We operate from a 22,000 square foot warehouse and yard serving an established clientèle..
One thing was certain – change was inevitable and Moores were able to react quickly to ensure all of the roofing products were available and had been rigorously tested. 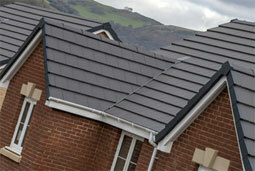 Over the years we have developed our product range to accommodate the ever-changing needs of the roofing industry. It became evident that there was a gap in the market for a proactive distributor who could offer more than an efficient delivery service. In the fast moving world we live in, customers want answers quickly so we have formed two divisions within the company, one specializing in roofing services and one specializing in insulation services, each division offering a complete solution to your needs, from survey and specification writing with insurance backed guarantees to installation by our approved contractor network. Moores Roofing Supplies are a National Force, offering service that is setting a new benchmark for the industry.